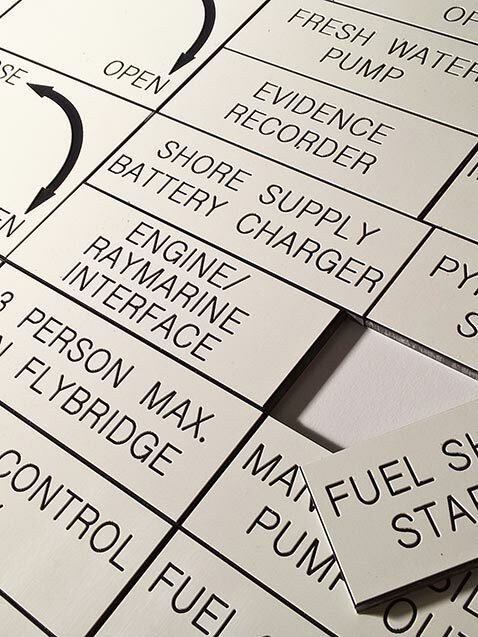 Here at Andrews Signs & Engravers we manufacture a wide range of engraved electrical labels on materials to your specification. Encompassing many years of industrial engraving experience, our specialised team will deal with your bespoke requirements accordingly. 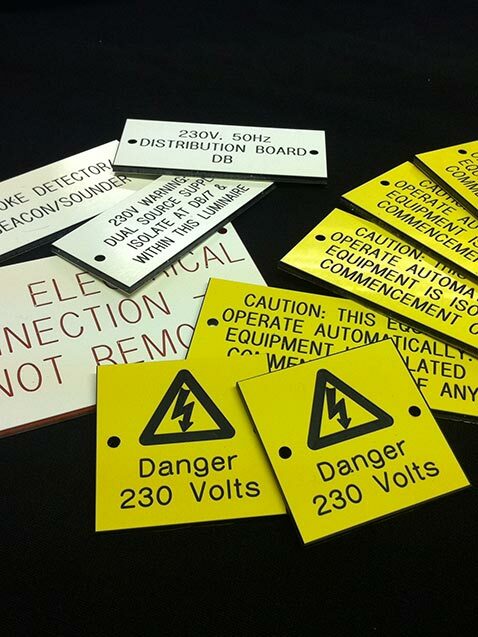 You can therefore be confident that we will produce engraved electrical labels to the utmost quality. Our engraved labels are on a wide range of rigid and flexible laminates including traffolyte, gravoply etc. and are therefore extremely durable. We can manufacture one-offs to thousands of labels, in a huge range of colours and sizes. Also, incorporating logos, symbols and different languages is doable – call with your enquiry today. Please call on 01904 400800 or contact us via one of our alternative methods with you exact requirements and we can work out a price for you.